The diverse needs associated with mental illness warrant for the provision of mental health care by various sources. The South African government recognises the involvement of stakeholders as a potential means of narrowing the gaps in mental health service delivery. This study explored the views of different stakeholders about their roles as support systems for people with mental illness and their families at Mashashane, a rural setting in Limpopo Province, South Africa. Seven focus group discussions were conducted with various stakeholders. This qualitative study employed content analysis to allow for comparison of stakeholders’ views. Stakeholders understanding of mental illness was based on reaction towards people with mental illness, causes of mental illness and the behaviour displayed by the ill individual. The identified formal and informal systems were seen as ineffective with regards to provision of support. Collaboration was recommended as a mechanism to improve mental health services. The findings contributed in the formulation of guidelines to improve support. Authors declare that there are no known conflicts of interest. The study was approved by the Ethics Committee of the North-West University, Potchefstroom with reference number NWU-00125-11-A1. Informed consent was obtained from all individual participants. Participants were reimbursed for transportation. Ndetei, D. M., Khasakhala, L. I., Kingori, J., Going, A., & Raja, S. (2008). 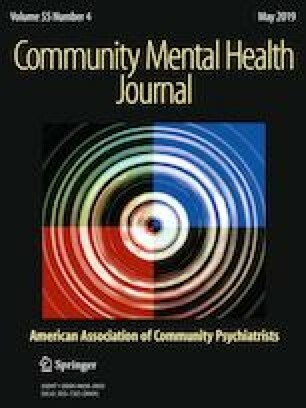 The complementary role of traditional and faith healers and potential liaisons with Western-style mental health services in Kenya. Retrieved from http://www.utsouthwestern.edu/psychiatryandfreedom.